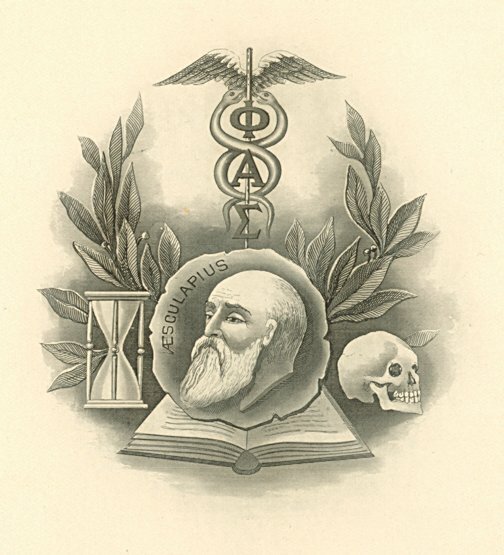 Penn’s Beta chapter was established in 1890. This medical fraternity was founded at Bellevue Hospital in New York City in 1888. The Beta chapter was represented in The Record of 1890 and in successive years, throughout the decade of the 1890s. Baird’s Manual (1930 edition) stated that the Beta chapter was still active, with a total of 422 members from the time of its creation.